This Hands-On class will teach you the mechanics of machine embroidery. This class will review hooping, placing a design, stitching the design, as well as some editing options. We will also discuss design formats and how to get a design to your machine. 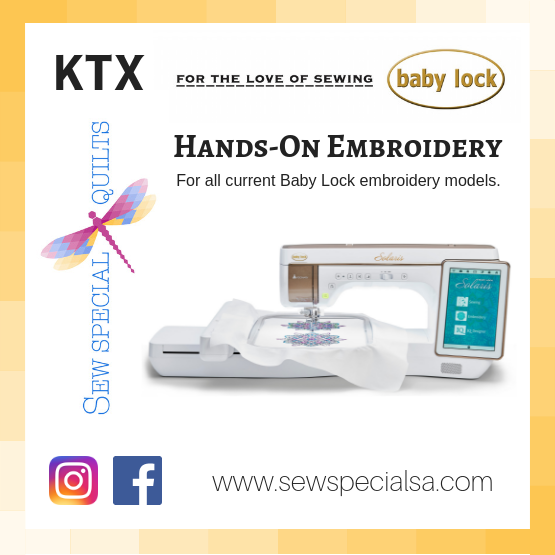 Go home with a beautiful new embroidery project! The Embroidery Basics Class is highly recommended before attending the hands-on class. 5x7 hoop or the closest one you have to this size. Embroidery Basics is HIGHLY RECOMMENDED before attending this hands-on class.